Personal tax covers a whole range of taxation obligations from Income Tax and Inheritance Tax to lesser-known non-residency taxes. It can be difficult to know whether you are paying the right amount of tax, at the right time, and what taxation relief you may be eligible for – much depends on individual circumstances. Trust in us and gain expert advice on tax mitigation, strategic planning and the preservation of wealth, and benefaction. By building a relationship of trust and understanding your individual circumstances, you can rely on us to help you achieve your financial objectives in a tax efficient manner, especially if you own a business. Achieve the most of your personal and business circumstances with effective personal tax planning.  For private clients or sole traders needing advice and taxation support due to inheritance, career or because of foreign working or residence, separate taxes may be applicable. Everyone’s circumstances are unique to them. A tailored approach to personal tax is the best way to achieve your goals. Need to discuss personal tax support? Talk to a member of the team about your personal tax options – call 01782 744144 or ask a question online. Require more information about our Personal Tax service?